Harissa is a fiery (but flavoursome) chilli paste from Tunisia in North Africa. Harissa is traditionally used alongside couscous but also works well in soups, stews and sauces. Or try rubbing a little over chicken breasts. 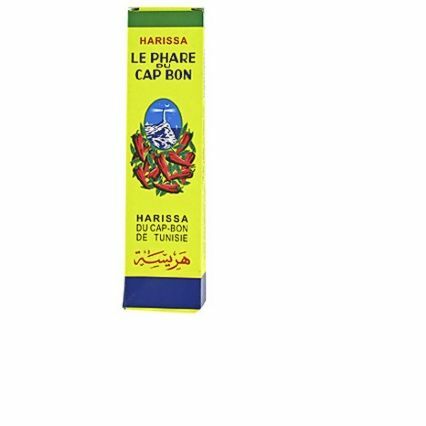 Producer Phare Du Cap Bon – one of the most reputed Harissa producers and the flavour is really good. Dietary Information: Gluten free and egg free. Suitable for vegans. No artificial preservatives. A good way to improve your harissa paste is to add a drizzle of olive oil, 1 tsp. of toasted cumin seeds, a few chopped fresh coriander leaves, half a clove of fresh garlic and half a squeezed lime.